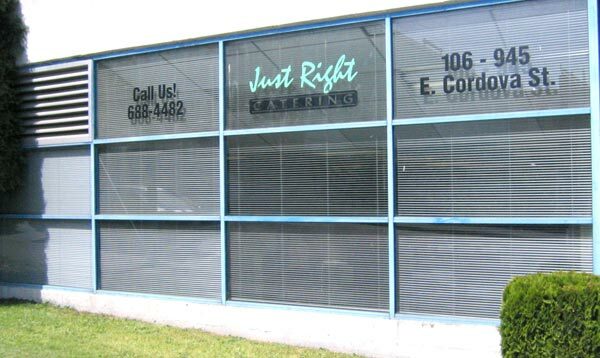 We launched “Just Right Catering” in the spring of 1983 to provide Metro Vancouver and the surrounding areas with a consistent, professional and innovative catering service, focusing on a reliable service offering high quality food prepared with passion & flair. Our mandate then was the same as it is today, to provide Vancouver with a catering service our client’s can rely on to exceed expectations. Grown from a company servicing dinner cruise ships in Vancouver’s harbour we have diversified into all aspects of catering service from full service gala dinners and upmarket reception events, elegant weddings, fresh grilled barbecue offerings large & small, as well as delivered appetizers, dinners and platter presentations to homes & offices throughout Metro Vancouver. Our corporate delivered catering service to the downtown area of Vancouver & Burnaby is growing fast with an array of clients and companies taking advantage of our down to earth approach in providing an efficient, easy to order, catering service for all aspects of corporate entertaining, providing elegantly presented, high quality foods for all occasions. Our fully trained Kitchen team encompasses talents from a mixture of cultures and cuisines from different ethnic backgrounds mirroring the ever changing demographics of Vancouver itself, with Influences from Europe, Asia, India and talented local Vancouver cooks & caterers. With over 30 years experience “JRC” has grown and moved with the times, we aim to encourage a passion for great fresh food, local where possible, with an emphasis on west coast inspired cuisine fused with influences from around the world, coupled with an understanding of great service. We believe in using only the freshest of ingredients, prepared with passion & flair, rely on our experience, creativity and vision for food and service to exceed your expectations. “JRC” is a well established, full service off premise catering company in existence since 1983, we offer reliable, elegant & stylish corporate and social event catering services throughout the year to the Vancouver area as well as outlying areas of the Lower Mainland including North and West Vancouver, Surrey, Richmond, Delta and so on. Banquets, BBQ’s, Weddings, Birthday Parties, Anniversaries, Breakfast, Brunch, Corporate Lunch, Buffet Dinners, Engagements, Receptions, Full Service Plated Dinners, Fundraisers, Appetizer & Platter Delivery, Funerals, School & College Graduation Parties, Corporate Meetings, lunch, Seminar & Meeting Catering, High Teas, Picnics, Yacht & Boat Catering etc. Whatever the event or occasion The “JRC” team is here to help you plan and arrange your catering requirements, to make yours an event to remember!